Chipotle has been at the center of a number of outbreaks of food-related sicknesses this year—and now one of them may be about to land them in court. 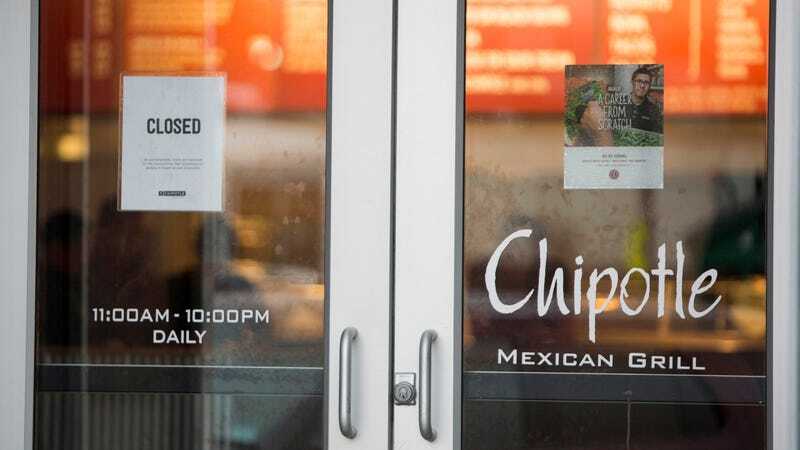 The AP revealed that the FDA and California’s US Attorney’s Office had launched a criminal investigation into Chipotle and subpoenaed a host of information from them. The outbreak in question is actually not the multi-state E. Coli outbreak that has followed the company since this fall. Instead, this investigation centers around an entirely separate norovirus outbreak in California this summer via the restaurant chain which sickened between 100-200 people. What’s especially interesting about this case, though, is that its also part of a trend towards investigating food safety crimes as, well, crimes. In addition to Chipotle, the Department of Justice is currently scrutinizing ice cream company Blue Bell for a listeria outbreak and a peanut butter company executive who knowingly shipped tainted jars was sentenced to 28 years in prison this summer. These could signify a real change in how we deal with food safety and its violations.